A group of local students are participating in a once in a lifetime opportunity this week, one coordinators say is an eye-opening and transformative experience. More than a dozen students from Washington County high schools, including Hillsboro High School, have traveled down south to participate in the state's first Sojourn to the Past trip. The Sojourn Project was founded in 1999 as a civil rights and social justice educational travel program. 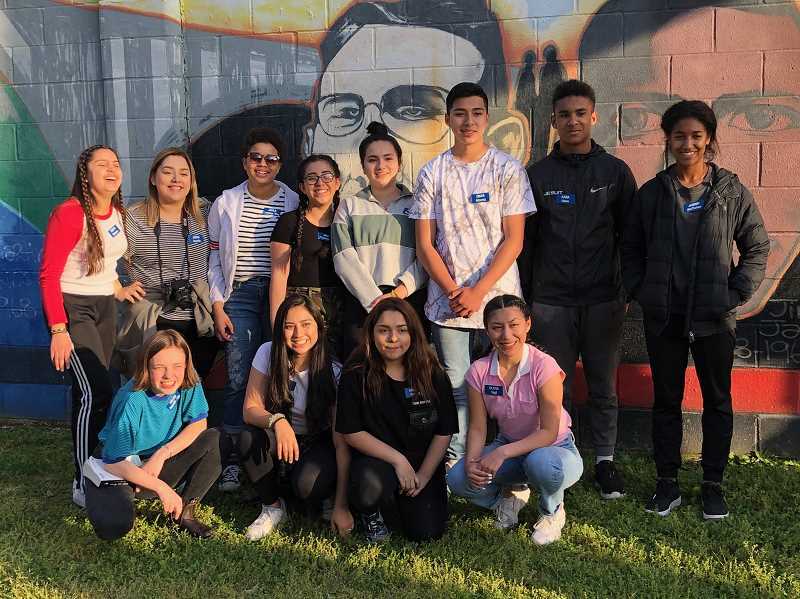 Participants take on a transformative and empowering seven-day academic immersion journey through the hallowed sites of the modern civil rights movement, spending time in the company of many who lived it, according to the project's website. 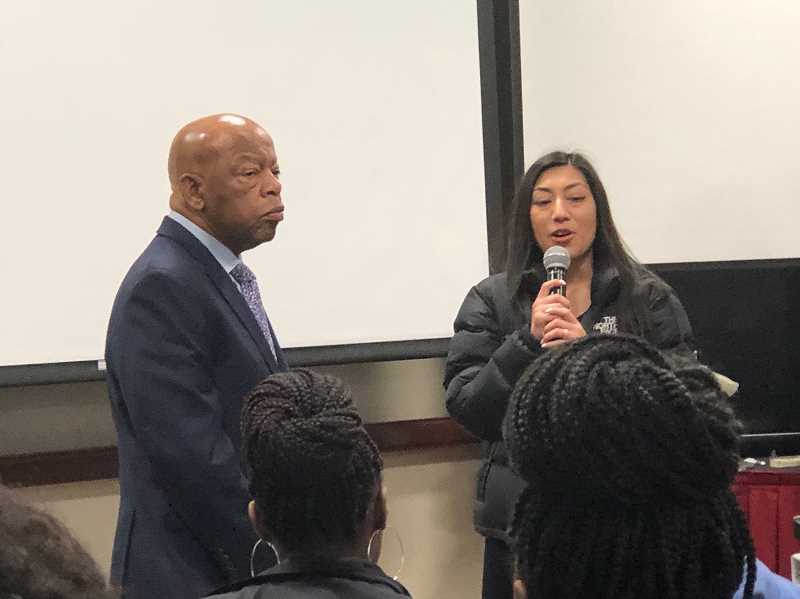 The students left Friday, March 29, and will join roughly 100 students from California and Ohio on the trip through Birmingham, Selma, and Mobile, Ala.; Atlanta, Ga.; Little Rock, Ark. and Memphis, Tenn., meeting civil rights activists and touring historical areas that played a major part in the civil rights movement. Hillsboro High School's assistant principal John Matsuo, who is organizing the Oregon students' trip, said the group will meet civil rights icons including Rep. John Lewis, a congressman and an active member of the civil rights movement, Elizabeth Eckford and Minnijean Brown-Trickey, members of the Little Rock Nine, and the family of the late Fred Shuttlesworth, a prominent civil rights activist, and others. Brown-Trickey will spend the week engaging with the students as they travel around, Matsuo said. The students, who are able to gain college credit from the experience, will also visit the National Civil Rights Museum — built around the former Lorraine Motel where Martin Luther King Jr. was assassinated — the Sixteenth Avenue Baptist Church — the location of the racially-motivated 1963 bombing that killed four young girls — and other sites. While the trip has taken place for many years, this will be the first group of Oregon students to participate, Matsuo said. The project's founder, Jeff Steinberg visited Hillsboro High in the fall to meet with social studies classes to give a glimpse into the what the experience provides, Matsuo said. "They called and spoke with Elizabeth Eckford, who was the first (black) girl to go into schools in Little Rock," Matsuo said. "It was super emotional. There was one young man who was telling her, 'I've done some of these things. I've bullied kids, but after hearing your story, I would never do that again.' 100 kids stood together and made a pledge that day to follow in her footsteps." Matsuo hopes students come back with a different perspective — taking a step back and looking at how they treat others, he said. "You can see the rising issues and just angst with kids (these days)," he said. "To meet with people who went through and lived through the tense times that they have, hopefully we build some resilience, some confidence in themselves, (and the) ability to be strong and support each other in a peaceful passion." Students will return this Friday, April 5. Matsuo said after students have completed the trip, they will speak with different groups in the community, likely including the school board or the elementary school they attended, to share their experiences and what they learned.